Posted By:Unknown | At:2:46 PM Be the first to comment! ORLANDO, Fla. (AP) - Actor Wesley Snipes was ordered Wednesday to voluntarily surrender at a federal prison in Pennsylvania next week to start his three-year sentence for failing to pay taxes. The U.S. Marshal's Office ordered Snipes to report to the Federal Correctional Institution McKean in Lewis Run, Pa. by noon on Dec. 9. Snipes had tried unsuccessfully to remain free on bail while appealing his conviction to the U.S. Supreme Court. 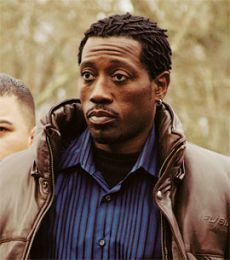 The 48-year-old star of the "Blade" trilogy was convicted in 2008 for willful failure to file income tax returns. His attorney, Daniel Meachum, didn't immediately respond to an e-mail seeking comment. Following his conviction by a federal jury in Ocala, Fla., about 70 miles north of Orlando, Snipes appealed to the appellate court in Atlanta. But the appellate court upheld the conviction and sentence. Last month, Snipes' attorneys argued at a hearing in Ocala that jurors should be interviewed about whether they had perjured themselves by stating during jury selection that they didn't have preconceived opinions about the case. Meachum said he had received e-mails from two former jurors who claimed other jurors thought Snipes was guilty even before the trial started. Snipes' attorneys also argued a new trial should be granted because of testimony by Kenneth Starr, a former financial adviser to celebrities, who admitted during a plea hearing last September in New York to cheating wealthy and elderly clients out of tens of millions of dollars. A judge rejected those arguments, writing that "the defendant Snipes had a fair trial; he has had a full, fair and thorough review of his conviction and sentence. ... The time has come for the judgment to be enforced."